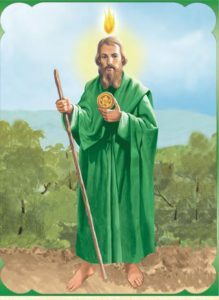 Those stories you’ve heard about St. Jude… they’re true! He really is God’s special saint, the one we call on when things look hopeless. We Franciscans know about St. Jude and the power of prayer and we want to join with you in two Special Novenas of Masses from March 2 to March 19. For the first nine days, we will be asking St. Jude to pray for you. For the next nine days, we will be thanking God for all the graces that have come into your life. Will you do something for us, too? Our Franciscan Missions in Central America are in desperate need. As little as $10, or even $15, would really help the people we serve. Please, send us your petition for the novenas and whatever small gift you can manage. Remember, we will be praying for you. 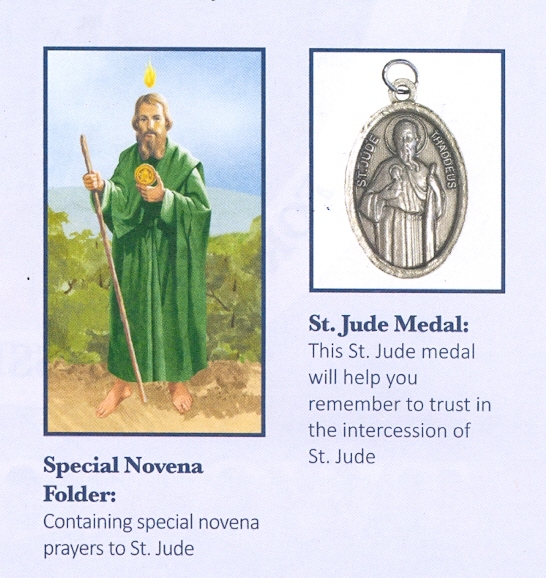 We will also send you two special gifts: a St. Jude medal to remind you of God’s love, and one of our novena folders you can use whenever you feel the need. God Bless You.